These are Mazda 3 SP23 Floor Mats are an exceptional alternative aftermarket accessory. Comprising of a set of (4) 2 Front and 2 Rear. 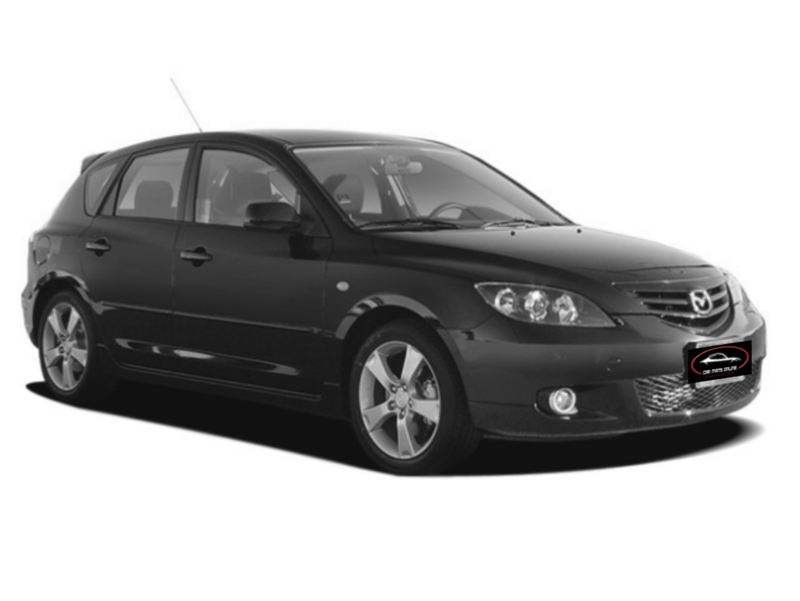 These car floor mats have been made to fit perfectly into your Mazda 3 SP23. Our car mats are manufactured from high quality, tough and durable OEM 500gsm automotive polypropylene carpet. The mats are available in Black only and come with the embroidered SP23 on the driver and passenger mats. Although these are an aftermarket alternative car floor mat, our product still comes with all the features of fitted eyelets, to ensure your mats are kept firmly in place. High quality, they fit perfectly and delivery was speedy and hastle free. Fits well and looks great. Build seems average. Shipping within the week, and kept up to date on delivery state. Happy with product & fast postage too. Thank you. These car mats are great, they fit my car perfectly and even have the SP23 insignia much like the original mats. I emailed with a question and got a reply within the hour - super prompt service. Would recommend to anyone! Very fast postage and great communication. The car mats are very well made and fit my car perfectly. Very happy with the purchase. Fantastic carpets at a very reasonable price. They have alot of grip so the carpet wont be sliding around. Soft-ish carpet material, not the most luxourious caret but is certainly worth it at this price! Carpets were delivered very quickly by courier and arrived without deformation from packing. 10/10 would recommend. the mats fit my 2005 Mazda SP23 perfectly - just like original equipment. And cheap! And they arrived (from interstate) only two days after I ordered them. Bloody awesome! Purchased for my sons 2006 Mazda SP23 as the original mats had worn through. Searched everywhere for some custom fit mats that still had the SP23 badge. Wasn't sure what the quality would be like, the badge is slightly smaller than the original but well and truly still look the part, perfect fit, prompt delivery. My son was wrapped. Highly recommend Car Mats Online. Recently purchased this set for my 2005 SP23. Originally, they were not an option but Car Mats online made the cut available and advised me when ready to purchase. The high level of customer service from Car Mats online and prompt delivery of the mats is second to none. The mats are a perfect fit and are of very high and long lasting quality.